Update | The BBC has reported a surge in requests for programmes on the iPlayer, following the addition of box sets and specials to the on-demand service. 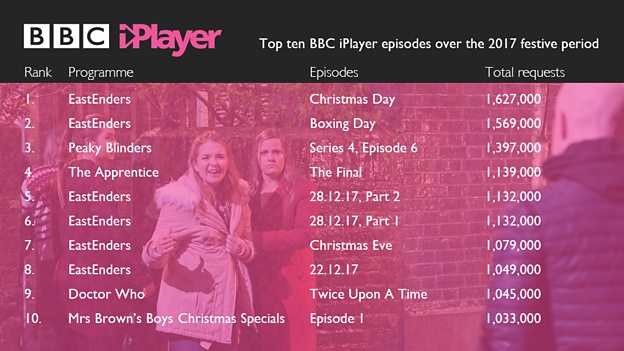 For the festive season, viewer favourites returned to the service, including box sets of the original Blue Planet series, EastEnders and Doctor Who specials as well as drama and comedy favourites including Taboo and Miranda. 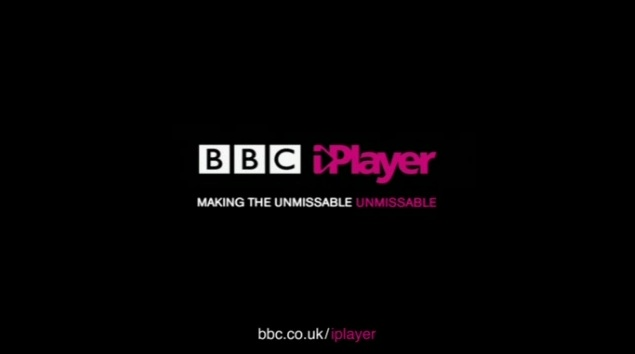 These programmes are due to depart from the iPlayer in the coming days. But it was current programming that drove viewers to the iPlayer, with EastEnders dominating the top 10. According to BBC data, there were 69.2m requests to watch programmes on iPlayer during the week between Christmas and New Year with viewers spending 25.6m hours on the service. This compares with 58.6m requests and 22.5m hours between 25th December and 31st December 2016. Figures are expected to be revised upward in the coming weeks, once Sky and Virgin Media users are added to the totals. Christmas week marked 10 years since the official marketing launch of the iPlayer, having made its debut on 25th December 2007, following a beta launch earlier that year.